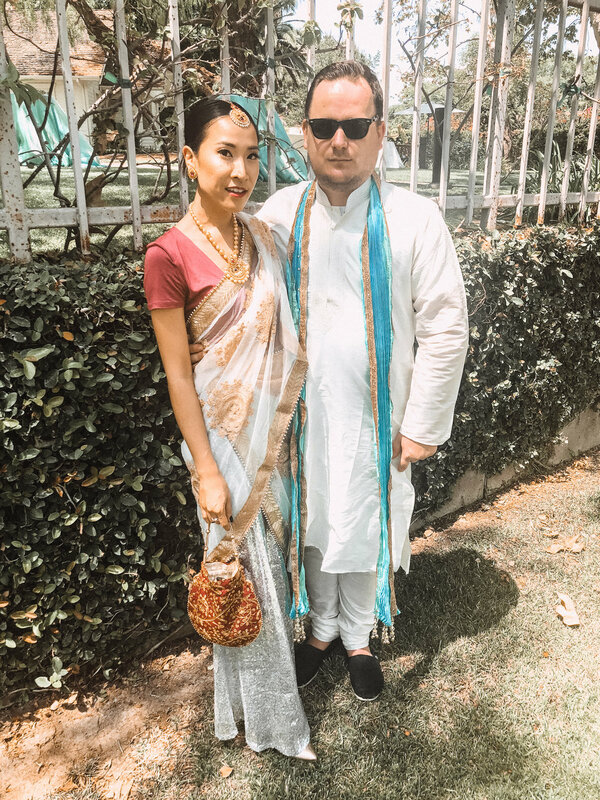 I am so excited to share this because it was the first Indian wedding Scott and I experienced and it was for our lovely friends Nik and Ritika. 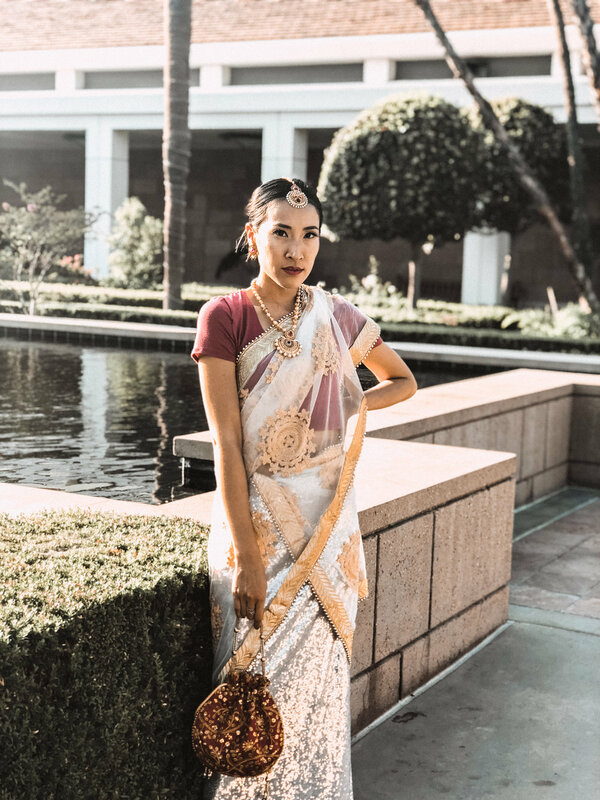 They were married through the most vibrant and meticulously meaningful Hindu wedding traditions, I was truly captivated by the entire days’ festivities. Anything I order, order it stitched, not unstitched (if it’s ordered unstitched it means it won’t be sewn together at the seams). Thankfully the site I was using offered a stitching service for sewing standard sizing or custom sizing (but it will take longer). For ease of movement and wear, choose a Half Saree/Two-Piece Saree or a Lehenga. Both styles consists of 3 pieces: the skirt, the blouse and the draping scarf. Don’t wear white, black or red - or any other color the couple may specifically state not to wear. Accessorizing your look with bangles, necklaces, earrings and the tikka hairpiece is a must (and is another fun element of styling the look). Amanda of Feast.Fashion.Faves was not given monetary compensation to compose and publish this post but the post does contain affiliate links that could lead to commission sales. All opinions expressed are of her own.